"We invite you to browse our extensive collection of antique and estate jewelry here in our online fantasy jewel box. We stock jewelry in a variety of styles for both men and women from a wide range of eras. Although we are passionate about all our jewelry, our specialty is wedding jewelry and we’ve brought together an exciting array of engagement rings and wedding bands here for your viewing pleasure. Each piece has been hand selected and carries with it the weight of our considerable reputation. We’ll work with you personally to find that piece of jewelry that complements you and meets your needs. To purchase a piece of jewelry, simply call us at our toll-free number with the item number and we’ll take you through the order process. If you have something specific in mind and don’t see it on our website or just have some questions, please don’t hesitate to contact us via our e-mail or phone number below. 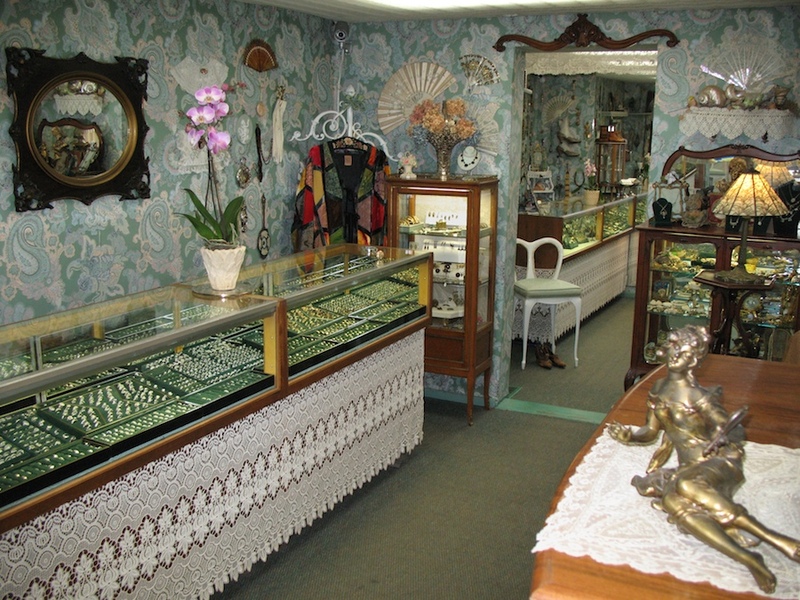 We’ll see if we can help you find the perfect piece of jewelry for you!" If you’re coming in from out of town, please call ahead.